Thanks to Siena's importance as a financial center and its position on the via Francigena trade and pilgrimage route the city quickly rose to became a lively cultural crossroad and artistic center in the 13th and 14th centuries. The Byzantine style, imported from Constantinople, well-suited Siena's native spirituality and mystical attachment to the Virgin, and resulted in hundreds of iconic, idealized and elegant Madonnas that still grace city walls and church altars. The wealth amassed by the city's nobles, its growing merchant class, its guilds and religious societies was also willingly channeled into magnificent palaces, chapels, loggias, sculptures, fountains and of course the Palazzo Pubblico and the Duomo. 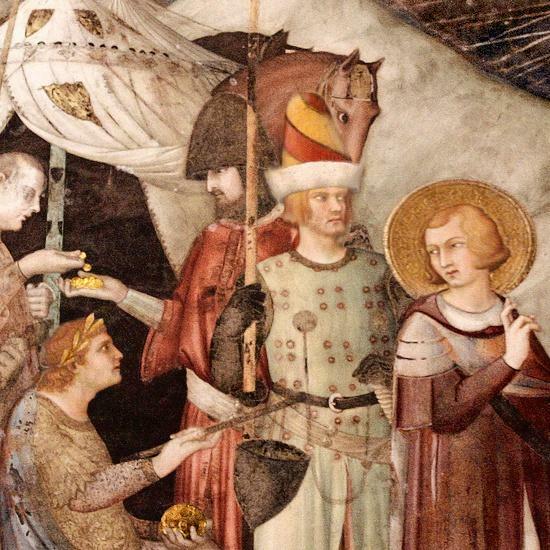 Not only did these ambitious projects create highly visible opportunities for brilliant native sons such as Duccio di Buoninsegna, Jacopo della Quercia, Simone Martini and the Lorenzetti brothers, but they also served to lure some of the greatest artists of the day away from Florence and Rome. In Siena's cathedral complex alone, the visitor will find works by artistic geniuses such as Donatello, Ghiberti, Pinturicchio, Michelangelo, and Bernini. In Siena beautiful examples of the city's art can be seen all around and often in the original site for which it was intended. Remember to look up while walking --- some of Siena's most famous artists contributed shrines to the Madonna that protect the traveler from almost every street corner. For more chronological surveys, the history of Sienese art can be found in the city's wonderful museums: the National Gallery (Pinacoteca), the Museum of the Duomo (Museo dell'Opera del Duomo), and Santa Maria della Scala (the city's amazing medieval hospital and museum), to name a few. Many churches are also the equivalent of small museums, not to mention welcome resting spots during a day's tour.